If it had hit the U.S., it would have been front-page news for several days. Super-Typhoon Juan roared ashore in the Philippines last week with heavy rains and sustained 140 mph winds, and has received only limited media coverage in American media. Media reports out of Manila say at least 31 people were killed by the storm, which was named Megi in the country. More than 1.9 million people were affected by the storm, and nearly 31,000 homes were completely destroyed, the reports said. 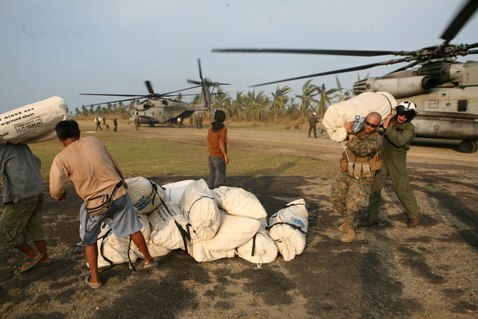 In classic Marine expeditionary unit fashion, the 31st MEU, out of Okinawa, Japan, spent several days delivering supplies and humanitarian aid. 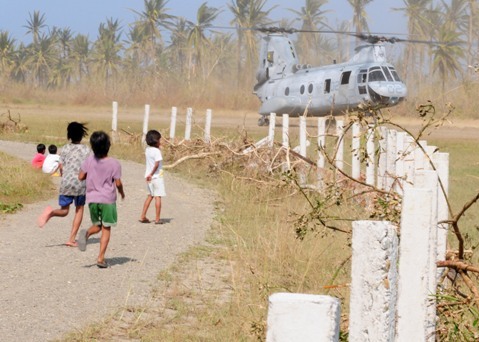 To highlight the work, here are a few of the best images released by the U.S. military.